Award winning, nationally-recognized, Billings, Montana artist Jon Lodge presented this outward manifestation of his intriguing mind, worked with students to develop works unique to this exhibition and shared his life and inspirations during an interactive, planned/random Happening, which included musician Alex Nauman, the audience and ... Big Gulp cups. 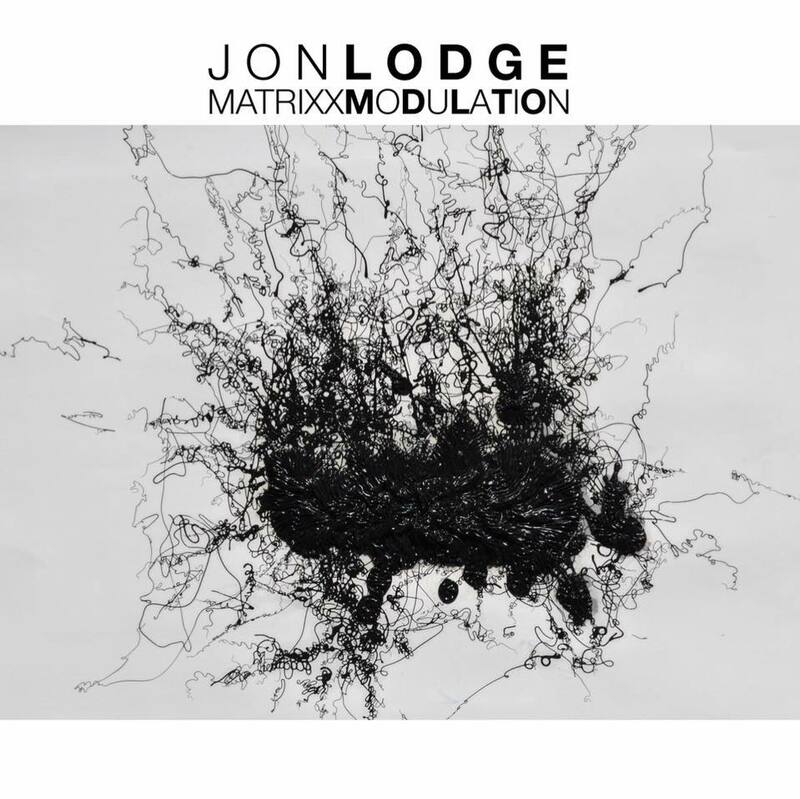 Knowing Jon for the last 20 or so years has been a never ending journey down rabbit holes, through other dimensions, and, overall, looking at life’s matrix, the organization of nature, through music, math technology and, of course, art, in new ways. At once simple and mutated. In the words of one of my students, Terri Porta: "His work is more than a piece of art on the wall, it is a conceptual exercise of pattern recognition and a journey into universal principals. He exhibits the extensive and studied byproduct of processes extracted from the world of planned randomness and science. This is the randomness we experience on a daily basis and yet have no idea of the gravitational coordination controlling it. The diverse and yet minimalistic approach to the work creates a subtext of awareness for the elements and puzzling realities harbored beneath fabrication, surface tension and random sequences." Using their camera phones with a finger placed over the lens, students randomized Jon's instructions to create individual videos, which were then placed in a video grid composite and a second video juxtaposing two videos at a time. Anna Paige, Entertainment Editor and Casey Page, Photographer, The Billings Gazette, "Jon Lodge makes art of randomness by 'tapping into accident' "
Jon Lodge, for agreeing, at the last minute to step in with his work after our next exhibition cancelled and for being a vibrant, engaged presence within the classrooms and the gallery.